Jack Kemp was such a great guy that it's hard to find anyone who didn't like him. 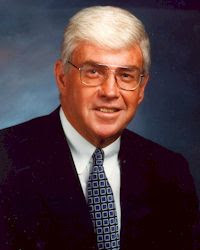 You can find people who argued with him, but everyone liked Jack Kemp. He was just a nice guy. I didn't know Mr. Kemp, but I did share an elevator with him once in Orlando. He was speaking with several young people in front of the elevator while my brother and I waited for the same elevator. He was exactly the same in person and the guy you see on TV. He was electric and animated and it seemed like there was a spotlight on him. Perhaps it was just the white hair and his pressed white shirt and bright blue tie. Whatever it was, he was unique. I had no idea he was sick and his death came as such a shock. I'll simply say, we need more people in the world like Jack Kemp.